Hanoi (VNA) - Vietnam hopes the Permanent Court of Arbitration (PCA) will issue a fair and objective decision on a petition filed by the Philippines contesting China’s claims to disputed areas in the East Sea, creating a foundation to peacefully handle disputes in that region. 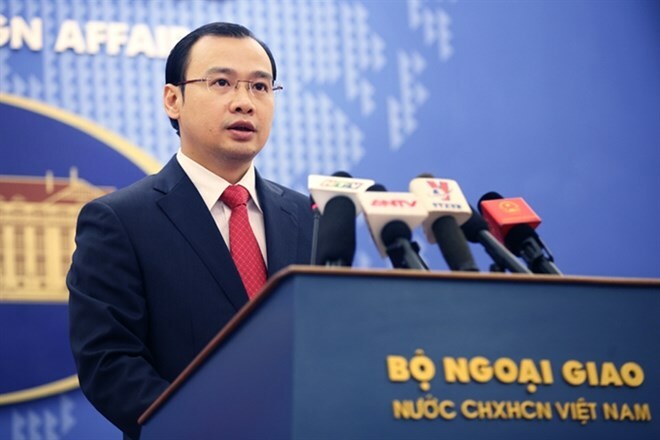 Foreign Ministry’s Spokesman Le Hai Binh said made that statement on July 1 while fielding queries from reporters about the PCA’s final decision expected on July 12. Vietnam was informed of the PCA’s schedule and as a country with a direct connection to the East Sea disputes and as a member state of the 1982 United Nations Convention on the Law of the Sea (1982 UNCLOS), Vietnam has been monitoring the case closely, he said.